Typical Issues in All California Sales Tax Audits. Did the taxpayer report all gross receipts from sales of tangible personal property and taxable labor and services? Did the taxpayer report the cost of all business equipment and supplies that the taxpayer purchased without tax either from out-of-state vendors or for resale? Did the taxpayer properly claim deductions? Did the taxpayer properly allocate local tax? Did the taxpayer use the correct rate of tax when reporting sales in special tax districts? Did the taxpayer properly apply tax to the taxpayer's sales and uses of tangible personal property? Preliminary examination by a California sales tax auditor will generally include comparing the total sales recorded on the taxpayer's books to the total sales reported on the taxpayer's sales tax returns; comparing the total sales recorded on the taxpayer's books to the total sales on the taxpayer's income tax returns; comparing the sales tax reimbursement the taxpayer collected to the tax reported on the returns and comparing the claimed sales for resale to resale certificates. Records generally requested by the California State Board of Equalization (SBE or BOE) include: Books of account including the taxpayer's income statements, balance sheets, general ledgers, and other summary records of the business operations, including state and federal income tax returns. Original documents that support the entries to the taxpayer's books, such as sales and purchase invoices, purchase orders, contracts, bank statements, and any other documents that result from the business operations. Resale certificates, exemption certificates, bills of lading, or other documents supporting claimed exempt sales. Copies of the returns the taxpayer has filed with the State Board of Equalization and the working papers and schedules used to prepare the returns. Preparation for a California sales tax audit should at a minimum include reviewing all of these records to confirm that they reconcile with the sales tax returns that were filed. Examination of General Ledger Accounts. The general ledger accounts may be examined for debits and credits which may represent unreported taxable transactions. As examples, sales of merchandise at cost may have been credited to the purchase or inventory accounts; sales of by-products may have been credited directly to profit and loss, surplus or expense accounts; sales of furniture, equipment and other capital assets may have been credited to equipment, depreciation or other accounts. Debits to general ledger equipment and supply accounts may represent unreported purchases subject to use tax. Examination of General Journal. Transactions not disclosed by examination of other records may sometimes be disclosed by examination of the general journal. California State Board of Equalization auditors are instructed to examine general journal entries noting those which may indicate unreported taxable transactions. California State Board of Equalization auditors may also examine correspondence, contracts, invoices and other documents to determine whether the entry represents an unreported taxable transaction. Examination of Cash Receipts and Disbursements Records. The cash receipts record may be examined to determine that receipts from cash transactions have been credited to the proper sales or revenue accounts. Examination of Accounts Receivable Ledger. The accounts receivable with the owners, partners, officers, or employees of the company may be examined for evidence of taxable transactions not otherwise recorded in the sales or revenue accounts. Partners' drawing accounts and employees' advance accounts may be examined. Examination of Purchase Journal. Entries may be made in the purchase journal for sales at cost or returned merchandise. Inventory withdrawals which should have been reflected in the inventory accounts may appear as credits in the purchase journal. These postings may be scrutinized for taxable transactions. Mark-up Methods. Use of mark-up methods as an audit procedure is widespread in sales tax auditing. Mark-up, sometimes called mark-on, is the amount added to cost to obtain the sales price, and generally is referred to in terms of percentages. The percentage of mark-up is computed by dividing gross profit by cost of goods sold: Gross Profit./Cost of Goods Sold. = % of Mark-Up. The percentage of mark-up may be estimated based on auditor's knowledge of mark-ups of similar type and size of business located in the same general area. State Board of Equazlization auditors are instructed to also compute a mark-up based on current purchase invoices. This mark-up is then compared to the known mark-up of similar businesses as a test of its accuracy. Sales for Resale. In absence of any valid resale documentation, the auditor may determine that it is appropriate for a seller to use the Form BOE-504 series of forms (called "XYZ" Letters) procedure to help satisfy their burden of proving that a sale was not at retail even though a valid resale certificate was not obtained or to substantiate a claim that their customer paid the tax directly to the state. Exit Conference. When the California Sales Tax audit is complete, the State Board of Equalization auditor will arrange to hold an exit conference with you. The State Board of Equalization auditor's supervisor may also attend. At this conference, the auditor will explain any proposed refunds or additional taxes or let you know that the returns have been accepted as filed. The auditor is required to provide copies of the audit working papers. They will normally include an indexed set of schedules prepared by the auditor documenting the tests and examination procedures used in the audit. The audit working papers should also include the auditor's narrative comments describing the records, explaining the purposes of the tests conducted, and interpreting the findings of the tests. If you indicate you disagree with the Board of Equalization's audit results, the BOE auditor will generally defer preparing the final audit report until you have provided information to support your argument. You should clearly explain why you disagree and ask the auditor about the documentation you need to support your position. Once the auditor has considered your reasons and documentation, he or she may adjust the audit results or request more information and arrange for another discussion. Discussion with the BOE Audit Supervisor. If you still disagree with the findings the auditor will tell the supervisor that you want to discuss the audit, and the supervisor will call you to schedule a meeting. At this meeting, you may explain why you disagree with the audit results and suggest what should be done to resolve the disagreement. You should also present any documents that support your position. After considering your reasons, the supervisor will decide whether the sales tax audit results should be adjusted and will discuss any proposed adjustments with you. You should let the auditor know if you still disagree with the findings. Following the meeting, the auditor will prepare the Report of Field Audit or Report of Investigation that summarizes the final audit findings. If the report notes you do not agree with the audit results, you will be given the opportunity to meet with a Board representative to discuss your disagreement. Discussion with a California Board of Equalization Representative. If the report notes that you do not agree with the audit results, you will receive a letter that gives you ten days to make an appointment with the Board representative identified in the letter. b) Identify the amount(s) you wish to contest. c) State the specific grounds or reasons that the tax is not owed. d) Be signed by the taxpayer or an authorized representative. SBE Rules Section 5021. If you wish, you may use the Board's form BOE-416, Petition for Redetermination, to file your petition. A copy of this form is available on the BOE website. You should also indicate whether you would like to have an appeals conference (see "Appeals Conferences," below). Requesting an appeals conference and a Board hearing at this point in the process helps preserve your appeal rights. However, even if you do not request an appeals conference, if you request a Board hearing, an appeals conference will usually be held first. The conference will be held by an Appeals Division attorney or auditor who has had no prior involvement with the case. The appeals conference will generally be held in the SBE district office that conducted the sales tax audit. Statute of Limitations. The SBE must issue its Notice of Determination within three years after the last day of the calendar month following the quarterly period for which the amount is proposed to be determined or within three years after the return is filed, whichever period expires later. The statute of limitations for the unfiled returns is eight years after the last day of the calendar month following the quarterly period for which the amount is proposed to be determined. Rev. & Tax Code § 6487. A party may submit additional documents to the Appeals Section at any time before or during the appeals conference. If a party submits additional documents, the other party shall have the opportunity to respond to the documents either at the appeals conference or within 15 days after the appeals conference. SBE Rules Section 5023(d). If at an appeals conference a party requests time to submit additional documents, the party shall have 15 days after the appeals conference to submit the documents. The other party shall have an additional 15 days to respond to the documents submitted. If there is sufficient justification, the conference holder may extend the time period for either party by an additional 15 days. Neither party shall be allowed any further additional time to submit or respond to documents unless approved by either the Assistant Chief Counsel of the Appeals Section or his or her designees. SBE Rules Section 5023(d). a) Attend an appeals conference at the SBE's Headquarters office in Sacramento. b) Attend a video conference from certain district offices. The appeals conference is intended to be an informal review. Rules of evidence are not strictly followed. The purpose of the conference is to present all the evidence and arguments concerning the disputed matter to an Appeals Division attorney or auditor ("conference holder") who has had no prior involvement with the dispute. A representative of the BOE's audit staff will also be present to explain why the staff believes the tax is due. After the appeals conference, the Appeals Division representative will prepare a Decision and Recommendation containing an analysis, conclusion, and recommendation for the resolution of the case. If you do not agree with the Decision and Recommendation, you may have a hearing before the Members of the California State Board of Equalization, which you must request in writing. If you wish such a hearing and have not already requested one in writing (for example, in the petition for redetermination), then you must make a written request within 30 days from the date of the letter from the Appeals Division that transmits the Decision and Recommendation to you. Settlement. The SBE's settlement program is available to taxpayers who have a petition for redetermination, late protest or claim for refund pending in connection with a tax. Settlement Proposals should be submitted on BOE Form 393. The most important part of filling out the form is the amount of the settlement offer, and the legal and factual grounds in support of the offer. A case will not be considered for settlement unless the offer is submitted at least 45 days before the first date scheduled for a hearing before the five-member Board. If the settlement staff determines that there is a genuine factual or legal dispute the case will normally be accepted for consideration. However, if the staff determines that the Board's case has little litigation risk it will not be accepted. If a settlement is reached with the staff it still must be approved by Board Management, and in larger cases by the Attorney General, and the 5 member Board. The attorney general has 30 days to review and comment on the proposed settlement, and the Board has 45 days from the date of the meeting of the Board at which the settlement is submitted to approve, or deny the proposed settlement. Settlements are generally expected to be paid within 30 days after approval. If the settlement staff does not agree to a settlement an appeal to the Board's Assistant Chief Counsel, Settlement and Administration Division is available. The California Board of Equalization is comprised of five Members, and a quorum is three Members. Board hearings are held monthly in Sacramento and about quarterly in the Los Angeles area. Board hearings may also be held once per year in San Francisco and in San Diego. 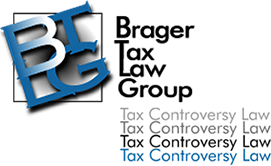 Taxpayers may be represented at all levels of review by any person of the taxpayer's choosing, including, but not limited to an attorney, accountant, bookkeeper, employee or business associate. SBE Rules Section 5073. Briefs are not required in sales tax cases. SBE Rules Section 5075. They are, however, highly recommended, if not essential. Briefs can not exceed 30 double spaced pages without prior permission by the Chief, Board Proceedings Division. id. Opening briefs shall be filed with the Chief, Board Proceedings Division no later than 45 days before the Board hearing, and may be filed by either party. Reply briefs are due no later than 30 days prior to the hearing. The BOE may permit the filing of post-hearing briefs and memoranda of legal authorities, including relevant statutes and regulations, on any matters considered at a hearing. However, any post-hearing submissions shall only be permitted by order of the Board at the conclusion of a hearing, on the subject matter specified and within the time limits prescribed by the BOE. Id. A reasonable extension of time for the filing of briefs may be granted by the Chief, Board Proceedings Division, upon a showing of extreme hardship. The request for an extension of time shall be submitted in writing before the scheduled due date of any brief. Id. Prior to a hearing before the BOE the Appeals Division will prepare a summary of the case, and a copy is sent to the taxpayer 2 weeks prior to the Board hearing. A hearing involving a taxpayer or taxpayer's representative residing in the Southern part of the State shall ordinarily be held in the Los Angeles area [Culver City]. Other hearings shall ordinarily be held in Sacramento. SBE Rules Section 5076. Hearings are also held in San Diego, but generally only once per year. Taxpayers are notified 60 days in advance of the date of the Board hearing. Hearings before the BOE are not in the nature of trials or contests between adverse parties. They are meetings of the Board at which the taxpayer presents orally to the Board the taxpayer's arguments for a reduction or cancellation of a tax liability, a refund of tax previously paid, or a reduction in assessed value, or other relief. SBE Rules Section 5078. Although the SBE will hear witnesses, and accept exhibits and documents at the SBE hearings are not designed to accommodate the presentation of massive amounts of new evidence, and all evidence if not previously submitted should be filed with the brief. The parties can cross-examine witnesses. The parties can present hearsay evidence. The parties may also submit a stipulation of facts. The taxpayer is generally allowed 10 minutes to make his presentation, and the Board Staff is allowed the same amount of time; the taxpayer is then allowed five minutes of rebuttal time. Additional time is allowed for Board members to ask questions. Hearings are transcribed by a certified court reporter, and will be transcribed only upon request. The cost of the transcript is $2.55 per page, and requests must be made within 6 months of the date of the Board's decision. Subpoenas for the attendance of witnesses or the production of books, records, accounts and papers may be issued in accordance with Section 15613 of the Government Code. Except where the subpoena is issued at the request of the SBE, a subpoena shall be served on behalf of and at the expense of the person requesting its issuance. An application for a subpoena for the production of books, records, accounts and papers shall be supported by an affidavit as prescribed by Section 1985 of the Code of Civil Procedure. Any affidavit filed in support of an application for a subpoena shall be served with the subpoena. SBE Rules Section 5086. At the end of the hearing, the SBE members may make an immediate decision, or take the matter under advisement for a later decision. After the SBE makes its decision, the Board Proceedings Division will send an informal notice outlining the Board's action. The Board will send a formal Notice of Redetermination within about 45 days from the Date of its decision. The Notice of Redetermination will set forth the amount of tax, penalty and interest due. The Notice of Redetermination is final 30 days from the date the Board decides the matter unless a petition for rehearing is filed within that period by either party. A copy of the petition for rehearing shall be mailed to the other party. If a petition for rehearing is filed, the decision is final either: (1) 30 days after the Board denies the petition for rehearing; or (2) if, the Board grants a rehearing, 30 days after the Board decides the matter on rehearing. A petition for rehearing shall clearly state the legal and/or factual basis for the request. Reasons for requesting a rehearing include arguments that the Board made an error of law reaching its decision or that there is newly discovered evidence that was unavailable prior to the Board decision. Failure to state the legal and/or factual basis for a rehearing may result in denial of the petition for rehearing. SBE Rules Section 5082. If the amount set forth in the notice of redetermination is not paid in full by the time it becomes final, an additional 10% penalty will be charged. Rev. and Tax Code Section 6565. Full Payment Rule. In order to obtain a court review of the SBE determination the taxpayer must pay the tax in full, and then make a claim for refund. In State Board of Equalization v. Superior Court, 39 Cal. 3d 633 (1985), the California Supreme Court stated that a taxpayer could maintain a refund action by making full payment of the tax due for the quarterly reporting period. In Agnew v. California State Board of Equalization, 21 Cal 4th310 (1999), the California Supreme Court held that the payment of interest was not required before filing either a refund claim or refund suit. Every claim for refund must be in writing and must state the specific grounds upon which the claim is founded. It must be signed by the taxpayer, the taxpayer's authorized representative or any person directly interested. Although not required by statute to do so, the Board at its discretion may grant hearings on refund claims. SBE Rules 5022. Any lawsuit against the California State Board of Equalization must be based on the grounds set forth in the claim for refund of sales tax. Cal. Rev. & Tax Code § 6933. It may not include issues not raised in the claim. The claim for refund thus frames and restricts the issues for litigation. Courts are without jurisdiction to consider grounds not set forth in the claim. Preston v. State Bd. of Equalization, 25 Cal. 4th 197, 206 (2001). Time for Filing a Refund Claim. The claim must be filed within the later of; (1) three years from the due date of the return; (2) Six months from the date the tax was overpaid; (3) Six months from the date a determination became final; or (4) Three years from the date of an involuntary payment, such as a levy or lien. Cal. Rev. & Tax Code Sections 6902 and 6902.3. Time for Filing a Lawsuit. Suit must be filed within 90 days of the Board's action on the refund claim. Rev. & Tax Code Section 6933. If the Board fails to issue a Notice of Action within 6 months of the filing of the refund claim, then the taxpayer can consider it denied, and file suit. Rev. & Tax. Code Section 6934.